I lived in Germany for several years, and of all the things I enjoyed about that 鈥� like the castles, the Christmas markets, and the high-speed trains 鈥� I think the thing I miss most about Germany is Spargelzeit, or asparagus season. At the beginning of spring, around mid-April, grocery stores, restaurants, and farmers markets all fill up with gorgeous, fresh asparagus. I almost never even saw asparagus during the rest of the year, so I鈥檇 eat it by the pound during asparagus season. Even after moving back to the U.S., I still feel compelled to buy and eat as much asparagus as possible in early spring. 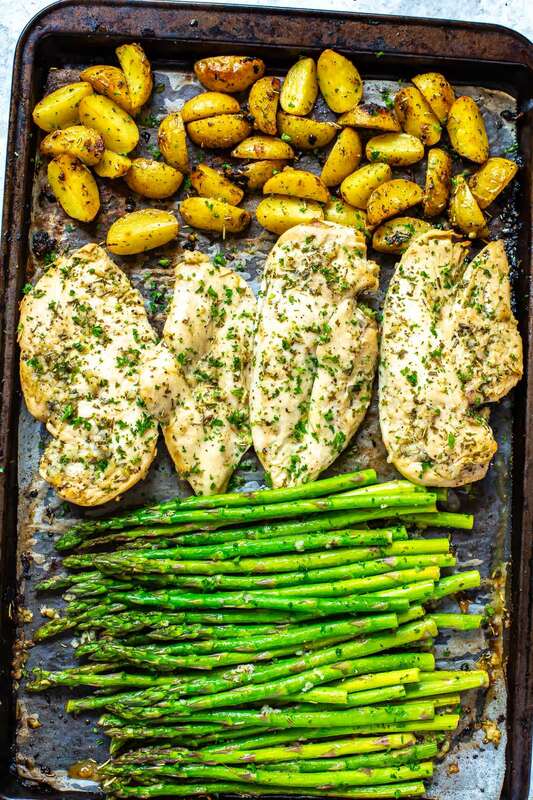 Asparagus cooks beautifully in the oven, and it gets fantastic flavor with a simple one-pan preparation like this easy sheet-pan recipe for lemon chicken and asparagus. Mix equal parts of olive oil and fresh lemon juice with a few cloves of minced garlic and a bit of dried parsley and rosemary. 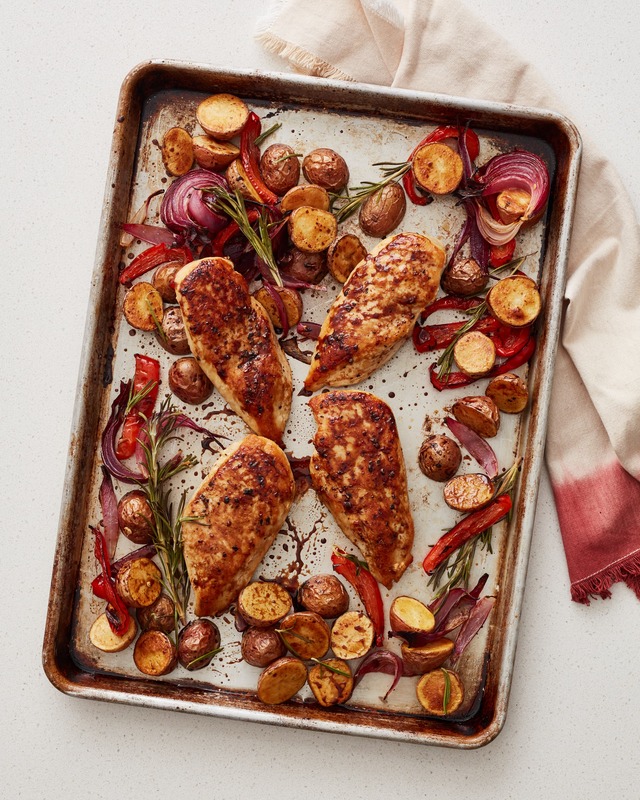 Put your chicken on a parchment-lined baking sheet with some halved baby potatoes, and toss the chicken and potatoes with the lemon mixture. The chicken and potatoes need longer to cook than the asparagus will, so bake the potatoes and chicken together on one side of the pan for about 10 to 15 minutes, then add the asparagus to the other side of the pan and cook for about 10 minutes longer. When the asparagus is nice and tender, everything should be ready. This is the perfect sort of super-easy spring dinner that only takes one pan to cook and can be made in less than half an hour. The lemon and garlic give it a great boost, while still letting all the natural flavors of the chicken and asparagus shine through. It鈥檚 also a very healthy meal that works just as well for meal prep as for eating right away. If you want to have an easy week of lunches, make big batch of lemony sheet-pan chicken and asparagus on the weekend and divide it among meal prep bowls, and you won鈥檛 have to worry about what to eat for the rest of the week.